The case, motherboard, processor, and memory are the only original components that stayed. I personally like the aesthetics of the case, although the cooling is admittedly bad and there is no cable management. The Dell BIOS leaves much to be desired, but unless you are overclocking, how much time do you really spend in the BIOS? As for the CPU, the Hazwell 4790 is fine since I won't be overclocking. 16GB of DDR3-1600 is more than enough for casual gaming. I was able to get the Intel BXTS15A cooler to work by removing the plastic push-pins and screwing it into the motherboard using the screws for the hard drive cage (which I removed). The fan on this CPU cooler is a Delta 0.69 amp, 3800RPM beast. For thermal paste, I went with Arctic MX-4. This paste is very sensitive to application methods. My first application (about a pea) was too much and caused my temperatures to spike at idle. My second application was about 2 small grains of rice and that seemed to work, but nothing remarkable happened. I used rubbing alcohol to clean the heatsink and CPU. For a case fan, I ended up getting a Titan 92mm, 0.3amp, 3000RPM model. The fan is rated at 55CFM @ 34dBA. I was not familiar with this brand previously but would definitely recommend them. See my results for more information on cooling. For PSUs, I was limited by size. My only options were really the Corsair AX760 or the EVGA P2 850. JonnyGURU.com gave me enough reason to go with the EVGA. You can read the review here. I originally was going to go with a 512GB mSATA because it would be 1 less PSU and 1 less SATA cable to route (look at the rats nest in there). 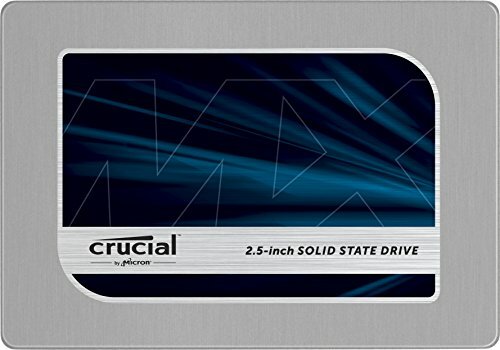 Ultimately, I ponied up and went with a 1TB Crucial MX200 SSD. The price on the Crucial was outstanding, and the reviews were all positive. I didn't want to start with a fresh OS install, so I picked up a SATA to USB cable and used Macrium Reflect to clone the original drive to the new SSD. The SATA cables that came with the Dell were very short, so I picked up a single 500mm black sleeved cable from SilverStone which was perfect for sneaking around the gigantic video card and matched the EVGA PSU cables. I disconnected the optical drive entirely since I'll never use it and want to have as few cables as possible inside the case. Lastly, I also needed a 2.5"to 3.5" mount and went with a black Corsair model. For video cards, I was also limited by size. Some of the aftermarket coolers from MSI and Gigabyte are just massive. I went with the EVGA, with the ACX2.0+ cooler, and backplate. It fit perfectly and Dell even has a cutout on the side of the case to allow the fans exhaust hot air. I debated going with a reference card from Nvidia because they are the smallest form factor, but the reference cooler is not exactly great and we are already dealing with a hot box of a case. Since I bought a 1440p monitor, I obviously wanted a video card that could pump enough pixels to it. The 980 Ti is a true beast. I benchmarked 14100 in Firestrike on the stock setting. My temps while gaming were in the 70's before I got SpeedFan to work. The system fan settings are so conservative which prevents them from ever really spooling up. By using SpeedFan, I can keep them quiet during web browsing and have them crank when gaming. Now I can comfortably game in the low 60's. I did try using an external fan controller, but you'll get a fan error every time you boot (if the fans aren't plugged into the mobo), so software is the way to go. Total cost for the computer, PSU, graphics card, SSD, and cooler was about $1900. I'd say if you are in the market for a gaming rig, obviously roll your own. However, if you purchased an 8700 and need more power, don't throw it away - you can definitely upgrade it. It's been about 3 years and this PC still runs like new. It's mostly used for software development, so the GPU never gets too hot. Note that I stopped using SpeedFan a while ago since it didn't consistently work (didn't actually regulate fan speeds). Went with the reference clock version, which is more than enough power. In 1440p, I'm averaging about 100 FPS in Black Ops 3 (1x Filmic SMAA) and 130 FPS in Star Wars Battlefront (FXAA High). The ACX 2.0+ cooler is doing a great job. The EVGA software doesn't look quite as polished as MSI's, but it allows simple overclocking and easy fan speed control so I can't really ask for anything else. This is a really nice PSU. Fully modular, 140mm fan, whisper quiet, platinum rating. The EVGA branding matches the video card. Easy setup and picks up my 5ghz network a floor below the router. Have not been disconnected once yet. Pricey for what it is, but anything with USB 3.0 is pricey these days. Easily the nicest keyboard I've ever owned. Uses 2 USB 2.0 ports, but also has a USB 2.0 port on it to connect your mouse to. Per-key backlighting that is controlled on the keyboard itself (doesn't require any drivers or software). The top of the keyboard is a solid sheet of aluminum. Key presses are super quick, but know that it's very loud. Special WSAD keys that are textured are a nice touch. For the price, it's a great headset. The only other headset I considered was the Logitech USB 7.1 (not spending $300 for Sennheiser or Astro - although they are amazing). The padding is super comfortable and you can notice a difference with the 7.1 surround on. 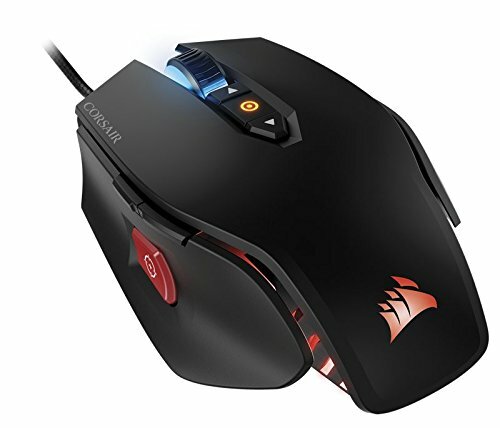 Everything is configurable using the same Corsair CUE software that the mouse uses. You can adjust volume, mic on/off, and surround on/off from the headset while gaming. Haha, yeah, I was banking on the upgraded cooler and Delta 4800 RPM fan. Looks like Michael Dell got the last laugh. Nvidia's max temp is around 90C and Intel around 100C I believe, so I'm not too worried; but you also won't see me lurking around r/overclocking either :) Thanks for the comment and enjoy your Thermaltake build! I have the same desktop too. I was about to do the exact same thing as you, but decided to wait until next year and build one. Part of the intrigue for me was to see if I could even do it - given the space and thermal limitations of the existing setup. Your Corsair 760T build looks awesome. This a very good upgrade for the dell. Is the cpu cooler loud while gaming? Thanks for the comment, Bobby. The only thing you'll hear during gaming are the 2 EVGA fans on the video card cooler. They get loud, but not loud enough to hear when you have headphones on. Ok, thanks for the feedback about the noise! What Processor does it use? Intel 4790. 3.6ghz base clock, 4.0ghz boosted. Nice upgrade to your system. Looks great too. Thank you sir! Recently added a Soundblaster G5 USB soundcard, Sennheiser Game One headset, and Oculus Rift. Maybe get a 1080ti next year? Lol awesome. See that is what you call a sleeper, fella. If you are dead-set on the 960, you should have no problem since there are folks on the Dell forum using 970s on the stock PSU (not recommended, but possible). I would highly recommend getting the 970. From what I've read, the 970 is perfect for 1080p gaming and you'd be all set for a while. If I went the 970 route, I'd get the Asus 970 Mini. Upgrade the HDD to a SSD if you haven't already. Probably one of the best upgrades you can make on any PC. Consider upgrading the PSU anyways. The PSUs that come with store bought computers are inefficient at converting AC power from the wall to DC power that your computer components use. This means they waste energy and also generate excess heat in doing so. Better PSUs also filter the power to provide a cleaner current to your expensive PC components. Lastly, modular PSU cables look better and take up less space inside the case since you only use what you need. Thank you ! I think I'll get a evga supernova 550, it should be enough. Great choice! Enjoy and have fun! Do you still have the nvidia quadro card. Is it for sale? Unfortunately, this computer did not come with a Quadro card. Those are the $1500 - $7000 High end Workstations cards. The one in the picture is some crappy GT or ATi card that he replaces with the GTX 980 Ti. It was probably one of NVidias 700GT series. I have the same one but don't know if mine came a with a 720GT 1GB, 720GT or a 730GT 2GB because I took mine out and put it in a fish tank PC build for school. Now I have an idea on how to upgrade my xps 8700 already changed the ram in it. I will be taking the gigabyte 1060gtx from my custom rig and putting it in this one when I get my hands on either the 2080rtx, 2080ti rtx or 2070rtx graphics card. I'm personally gonna wait on the RTX cards, especially at the $1200 price point (the 2080ti). Once more games in the future support Deep Learning Super Sampling and Realtime Ray Tracing, that technology will be more compelling. But as of right now, people would probably question my life choices if I told them I spent over one thousand dollars to make Tomb Raider look slightly nicer. I haven't opened the case up in a while, but last time I looked I didn't see any mounts for fans. I suppose a solution could be fabricated using zip ties or drilling holes, but I don't actually have a temperature or airflow problem. Not having a front fan actually has some benefits - like not pulling in dust. Most cases that are designed for intake fans have integrated dust filters, and we all know those require regular cleaning.